Reading a topographical map and learning how to decipher elevations are essential skills that will come in handy when you are exploring an unfamiliar area. Whether you're hiking, mountain biking or even looking for a ghost town, learning topographical elements on a map will help you determine the time, equipment, and level of fitness you need to achieve your exploratory goals. Elevation maps aren't hard to understand, and learning how to read them usually takes only a few minutes. Examine your map and learn a bit about the terrain's layout in regard to cities and structures such as highways. This will help you understand the area a bit better. Then move on to learning about the elevation. Look at the map's contours and lines and see how they form sections. These sections indicate specific elevations. The colors within the sections denote a particular elevation. Take note of patterns that form smaller and smaller sections; these indicate a steep change in elevation. Examine the key for the map. Each color will have a corresponding height that is indicated in the key. For instance, the color green on the map may indicate heights between 1,000 and 1,500 feet. Purple may indicate 3,000 feet and above. You'll find these keys easy to read. Remember that all elevations listed on an elevation map indicate the number of feet above sea level, which is represented by "0." Any area whose elevation is indicated with a negative number is below sea level. Although you won't see many areas that are below sea level far from large bodies of water, you can see them in a few select areas of the United States, such as New Orleans and Death Valley, Calif. You'll see similar low elevations in the Netherlands, where much of the land area has have been formed by draining the sea bed and building dikes and levees to hold back the water. Koenig, Susanne. 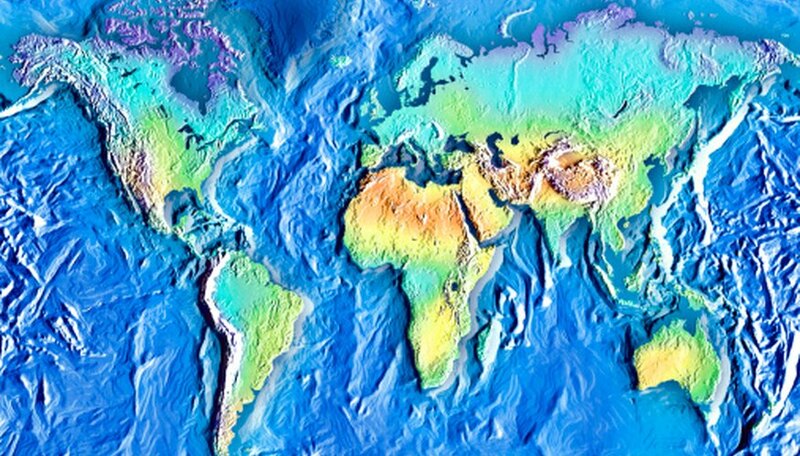 "How to Read Elevation Maps." Sciencing, https://sciencing.com/read-elevation-maps-8507798.html. 24 April 2017.